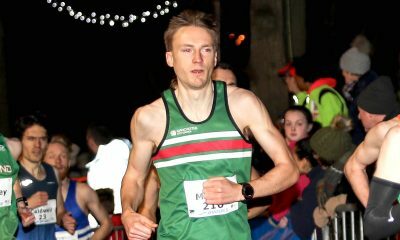 The Cornwall AC youngster beat seasoned internationals to the Worcester City 10k title. 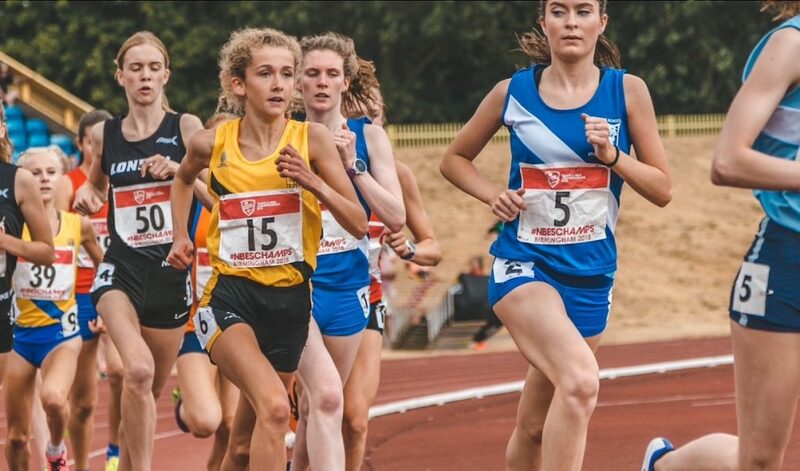 Fast times by teenage athletes seem to go hand in hand with the South West road race and Sunday’s event (September 16) witnessed one of the fastest – if not the fastest – 10k’s by 17 year-old Grace Brock. Brock’s phenomenal 34:24 10k debut saw off competition from Louise Small and Jo Moultrie along the way. What is even more incredible is that she only turned 17 six months ago, and is a mere month into her new U20 age category. 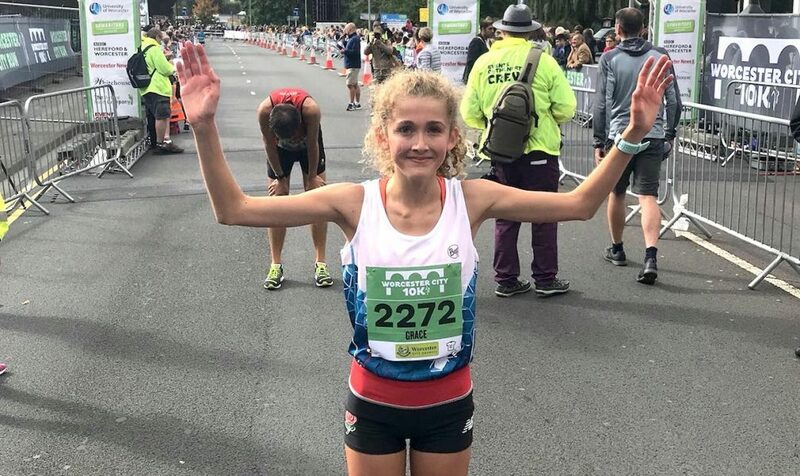 In 2014, Worcester AC’s Jenny Nesbitt not only upset the form books but destroyed them when she beat world marathon record holder, Paula Radcliffe. Nesbitt was just 19 years old when she ran an uncannily similar 34:21 on her own debut over 10k. Looking at the rest of Brock’s performances this year – and her future plans – it would seem the Cornish youngster has much to be excited about. While it is difficult to say where her time ranks her in the all-time rankings as a 17 year-old in the UK (RunBritain rankings don’t break results down by age – just age category), or worldwide, it is certainly the fastest 10k for her age in at least a decade. Her parkrun PB of 16:51 recorded in August at Brighton & Hove took her to the top of the all-time UK U17 rankings. Earlier in the year, Brock shot to new track PBs of 4:33.0 and 9:39.35 over 1500m and 3000m. She is also the reigning Cornish county champion over both distances. The Penwith College sixth form student is no slouch on the country, either. 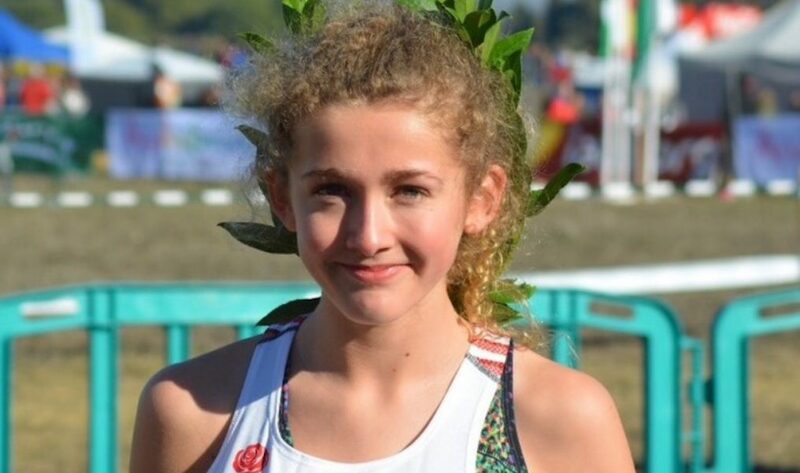 She won the Cross Internacional de Italica in January before taking the titles at the Southern Cross Country Championships and then the Inter-Counties. Brock was only beaten to the National cross country title by Liverpool’s Ella McNiven, who herself has just turned 17. The future is certainly bright for this country’s teen athletes. Can we keep the younger generation in the sport and ensure they transform their young talents into senior glory? Brock is intent on doing just that. The Year 13 pupil is keen to combine her university education with elite-level athletics in the US, and has already visited Portland University’s campus in Oregon. Before she jets off to America next autumn, she has unfinished business on home turf. With the cross country season about to kick off in less than a month, the British Athletics Cross Challenge Series is high on her list of priorities. Brock won the Cardiff event last season, and finished fourth at Milton Keynes and Liverpool. “I’m also really looking forward to running the championship races, and hope my increased mileage will help my endurance over the country,” she adds. 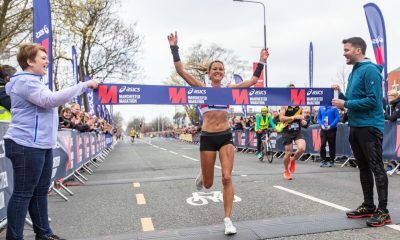 The self-coached athlete has gradually upped her training following an end of track season break, and reaped the benefits on Sunday with her superb 34:24 debut. Providing an insight into her training methods and what an average week looks like, she says: “I have been running and racing for six years now, so I just know what works for me and what doesn’t. My mum is a licensed coach so I can ask her questions if I need to, and can train with others at Cornwall AC too. 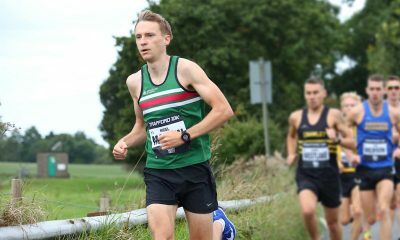 “I tend to run easy miles on Monday and Wednesday, a grass session on Tuesday – which will be anything from one to five minute reps – a tempo run finishing with hills on a Thursday, and I always completely rest on a Friday. “Saturdays are for beach training, something I’m very lucky to be able to do living down here in Cornwall. I tend to mix it up on the beach, but it usually involves repetitions of an 800m loop with some sand dune efforts. Sundays are long run days, which I have recently increased to 70 minutes. It is even more so for one so young, with the added energy-sapping long journeys to races that come with living in the South West of England. “My mum is amazing as she drives me to all my races, and my college has been really supportive with allowing me to leave early on Fridays so I can get to places like Liverpool the night before big events,” she explains. Further, the teenage star is also mindful of the need to work on injury prevention as she asks more of her body with every race, together with good quality kit. Support is such a key ingredient in any athlete’s progress through the ranks, particularly in the teenage years. Brock not only has to juggle her final year of school, where she is studying geography, psychology and history at A Level, with elite athletics. She also has to stay healthy, focused, but most importantly of all, stay as in love with the sport as she is right now to succeed at the top. With the support she has from her family, club, college, physiotherapist and At Your Pace, there is every chance she will continue to achieve great things in athletics.